As was reported earlier, Rita has collapsed during a photo shoot in Miami, for Madonna's clothing line "Material Girl". According to the explanation of the hospital doctor David Farcy of "Mount Sinai", Rita was treated for exhaustion and dehydration. Thereafter, she was discharged from hospital and her doctor told, she is now well. 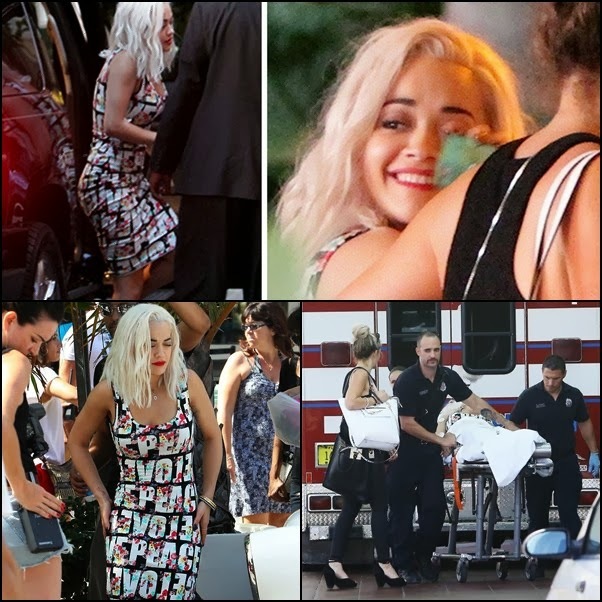 It is still not known exactly how it came to this collapse, but as she was leaving hospital Rita has given fans and present photographers a big smile, confirming that she now feels better.